Upcoming US crime series APB, which features Aussies Daniel Macpherson and Caitlin Stasey, will premiere on FOX8 in mid-February. The series stars Justin Kirk (Weeds) as a tech billionaire who is given control over a Chicago Police district. It premieres on the US on February 6. 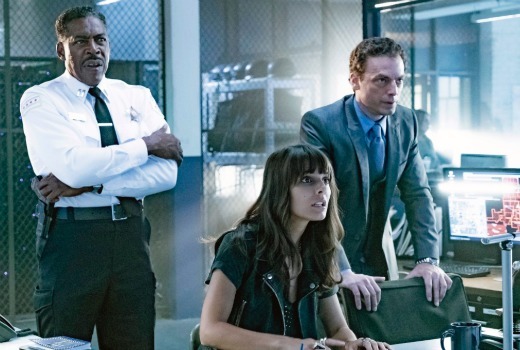 The new drama APB takes a fresh approach on the crime genre, involving the use of apps and technology to solve crime. Inspired by a true story covered in The New York Times article, “Who Runs the Streets of New Orleans?,” APB explores what happens when an enigmatic tech billionaire (played by Justin Kirk) makes a deal with a bankrupt city to run a privately owned and operated police force. Empowering citizens with a mobile app to report crimes and arming police officers with cutting-edge technology and the latest weapons, his vision builds a precinct that is better and faster than ever before. Thursday February 16 at 7.30pm on FOX8.